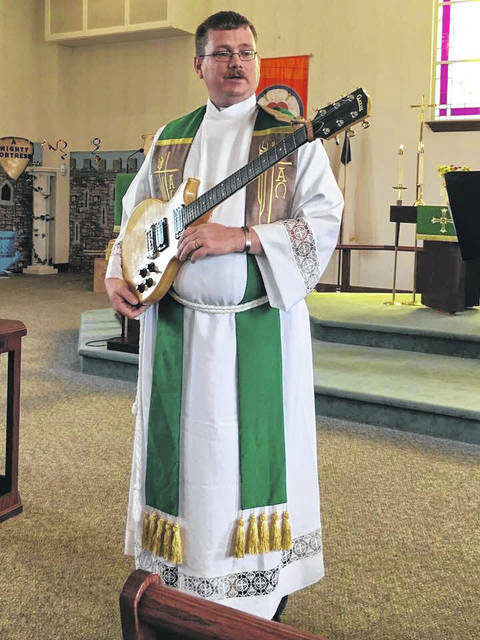 GALLIPOLIS — A chapter ends and a new one begins as Pastor John Jackson steps back and New Life Lutheran Church welcomes Michael Giese as its new pastor this coming Sunday. Giese originally hails from Granite Falls, Minnesota. Giese said he felt the military in the last few years has encouraged veterans to find help as a source of strength and encouraged such efforts. Giese lives in Gallipolis now. Giese said Granite Falls, as an interesting piece of trivia, was known to be home to the late US Representative Andrew Volstead. Volstead has closely been associated with National Prohibition Act of 1919. Jackson said this would be his third time retiring from his role as a pastor. He looks forward to a new step in New Life Lutheran Church’s future in Giese’s hands as a fellow chaplain and veteran. New Life Lutheran Church welcomes all comers and will welcome Giese formally at 9:30 a.m. Sunday during worship at 900 Jackson Pike. Dean Wright can be reached at 740-446-242, ext. 2103.